Governor, State of Osun, Ogbeni Rauf Aregbesola has advised youth across the country to go back to farm to guarantee sufficient food for consumption. He gave the advice while inspecting 40 acres of Osun Youth Empowerment Scheme (OYES) Solar Power Irrigation System Farm Academy of Ilesa. According to the Governor, “the only way to have sufficient food in this country is for all, especially youth to go back to farm to sustain ourselves”. The Governor, who appreciated the OYES team for embarking on such youth-engaging venture said, time is coming when everyone would have no option than to go back to farm. 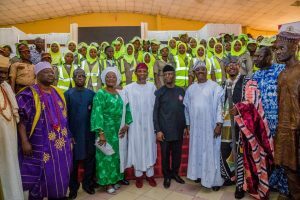 Urging youth to concentrate more on food production to guarantee sufficient food, the Governor said, “A any nation that cannot feed itself is doomed”. 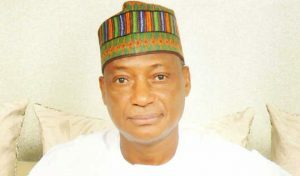 Regretting the neglect of agriculture due to oil boom in the nation, which, according to him is gradually drying up, even when its value had dropped, the Governor stressed that his administration would not relent in supporting youth that are determined to embark on farming in the state because the era of free money was gone. 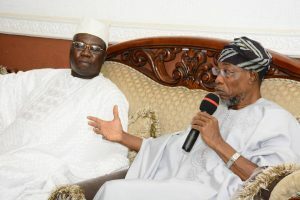 In his welcome address, the Commadante, Osun Youth Empowerment Scheme (OYES) Col. Enibukun Oyewole (rtd) commended the support of the state government under Aregbesola towards embarking on such farming projects in the state. He said, the OYES Solar Power Irrigation System Farm Academy is established to empower the volunteer across the state. According to him, 25 acres have been cultivated for vegetable of all kinds on the farm. 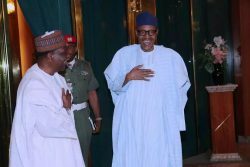 In his goodwill message, the Director-General, Bureau of Social Service, Barrister Femi Ifaturoti said, the projects is a bold initiative that any government has never embarked upon in the South-West. Also, the Dean, Faculty of Agriculture, Obefemi Awolowo University, Professor Oyedele Durodoluwa appreciated what OYES and the state government has put in place in the farm academy, advising youths to embrace farming for large food production. 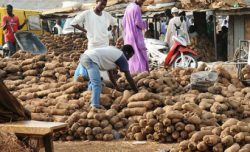 While speaking, the Head of Agriculture Department at UNIOSUN, Dr Gbenga Alao who described the programme as life-changing for youths, urged them to embrace the scheme, in other to have multiple source of income. In their different remarks, Chairman OYES mentor, Mr Charles Ajani and former Commissioner for Women and Children Affair, Mrs Adetoun Adegboyega described the programme as life-changer project for youths.